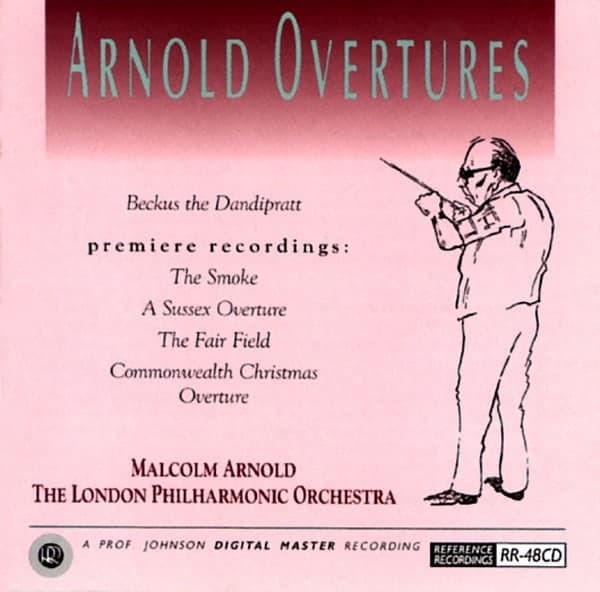 Authoritative first recordings of important works composed and conducted by Sir Malcom Arnold (1921-2006), one of England’s very greatest composers. 1993 GRAMMY® Nominee for Best Engineered Classical Recording. A perennial hi-fi favorite recorded by Keith O. Johnson now available on LP! The Reference Mastercuts LP release is a single 180 gram disc, half-speed mastered at 33 1/3 rpm by Paul Stubblebine, pressed on virgin vinyl at Quality Record Pressings, and contained in a beautiful gatefold jacket with original artwork.